Al-Qaeda leader Ayman al-Zawahiri has urged rebels, in a new internet message, to fight to establish an Islamic state in Syria. The leader of the Al-Qaeda terrorist group, Ayman al-Zawahiri, has urged rebels to fight to establish an Islamic state in Syria, AFP reported. The message came in an online audio message Sunday, in which the Al-Qaeda chief also warned France against its military intervention in Mali. "Let your fight be in the name of Allah and with the aim of establishing Allah's sharia (law) as the ruling system," he said, in his first message posted on the Internet since last November. "Do all that you can so that your holy war yields a jihadist Islamic state," said Zawahiri, adding that such a state would help to re-establish the Islamic "caliphate" system of rule. "The enemy has begun to reel and collapse," he said, referring to forces loyal to President Bashar Al-Assad. Islamist rebel groups such as the Al-Nusra Front, which has links to Al-Qaeda, have eschewed the main opposition National Coalition. Al-Nusra is one of 13 factions in the radical Islamist rebel council that announced its secession from the main opposition force and declared its own Islamic state in Aleppo. Zawahiri's message will not sit easily with Western powers, who have expressed fears of extremist Islamism playing a growing role in the Syrian conflict and are reluctant to arm the rebels on the ground. Assad's regime has long dismissed the rebels as "terror" groups backed by Western powers and driven by Al-Qaeda-style ideologies. The United Nations says more than 70,000 people have been killed in Syria's two-year conflict, which broke out after the army unleashed a brutal crackdown against dissent, turning the uprising into a bloody insurgency. 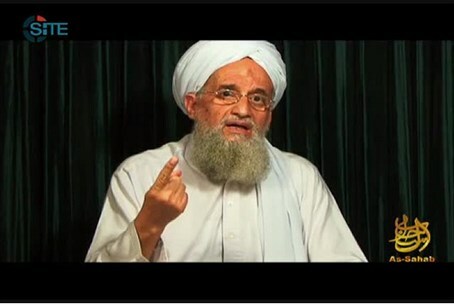 Zawahiri in his message also warned France over its military involvement against Islamists in Mali, AFP reported, saying it will be defeated in the same way, according to him, the Americans were defeated in Iraq and Afghanistan. "I call upon our Muslim nation in Mali to hold and be patient, and hopefully, effect a new defeat to the global crusade," said Zawahiri.